In an original and provocative study of suicide, Ian Marsh examines the historical and cultural forces that have influenced contemporary thought, practices and policy in relation to this serious public health problem. 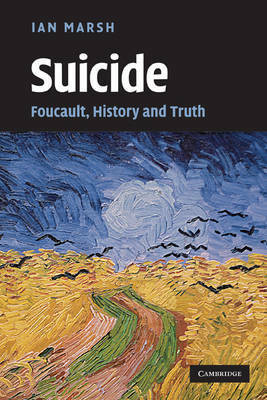 Drawing on the work of French philosopher Michel Foucault, the book tells the story of how suicide has come to be seen as first and foremost a matter of psychiatric concern. 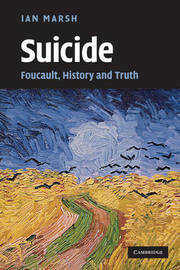 Marsh sets out to challenge the assumptions and certainties embedded in our beliefs, attitudes and practices concerning suicide and the suicidal, and the resulting account unsettles and informs in equal measure. The book will be of particular interest to researchers, professionals and students in psychology, history, sociology and the health sciences. Ian Marsh is a Senior Lecturer at Canterbury Christ Church University. He previously worked in an NHS community mental health team and continues to facilitate suicide prevention training.